The news that Scottish luxury cashmere manufacturer Hawico is planning to open stores in Paris and New York should come as no surprise; Borders textiles have been in demand for centuries. The Borders region – a land of rolling hills, fabulous forests, and fast-flowing rivers – is rightly famed for the creation of first-class fabrics, woollens and tweeds that are favourites with everyone from local farmers to the world’s top fashion designers. Quite how one small corner of Scotland came to clothe the world is a story worthy of a great writer, and, oddly enough, one features in this very tale. Although the history of weaving in the Borders dates back to the Middle Ages, it was not until the 1700s before linen production became a local cottage industry. This began in 1777, when the Manufacturers’ Corporation of Galashiels was formed. Although it had just 23 members, they were filled with ambition and had built their first mill by 1800. The Borders hills have long been famed for their sheep, and the fast-flowing Gala water gave the mills the power they needed to drive the industry forward. Hundreds of years later, this formula hasn’t faltered! 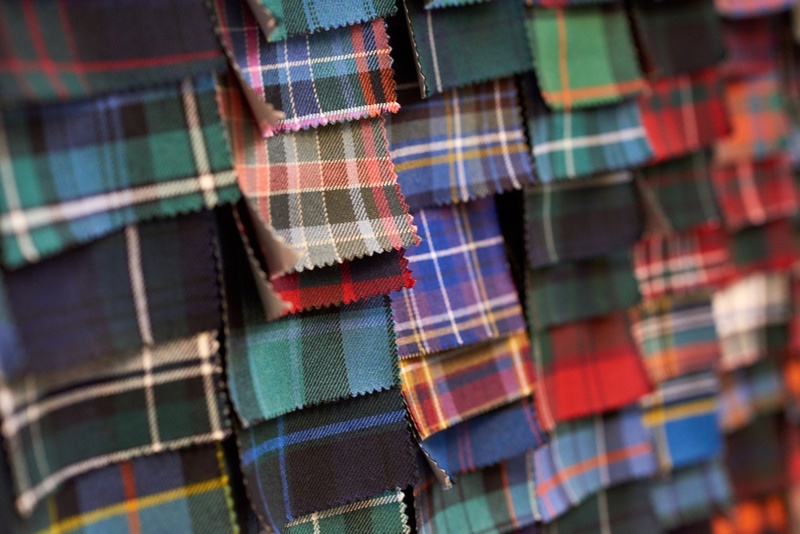 Galashiels soon became known throughout the world as a producer of checked cloth called ‘Shepherd’s Checks’ or ‘Shepherds Plaid’. However, this was soon christened ‘Tweed’, possibly after the local river that marks the Border between Scotland and England. This particular cloth was favoured by Edinburgh-born author Sir Walter Scott (1771-1832), who like today’s online influencers, was seen as the epitome of ‘Caledonian cool’. As Scott’s books – many of which were set in the Borders – found fame, first across Britain, then Europe and the rest of the world, the fabric known as Tweed began to become more and more fashionable. Avid readers of his famed works, which included Waverley, Rob Roy and the Heart of Midlothian, would study portraits and miniatures of Scott to see what he was wearing, then follow his style tips. This wasn’t the only time Scott sparked a fashion craze. 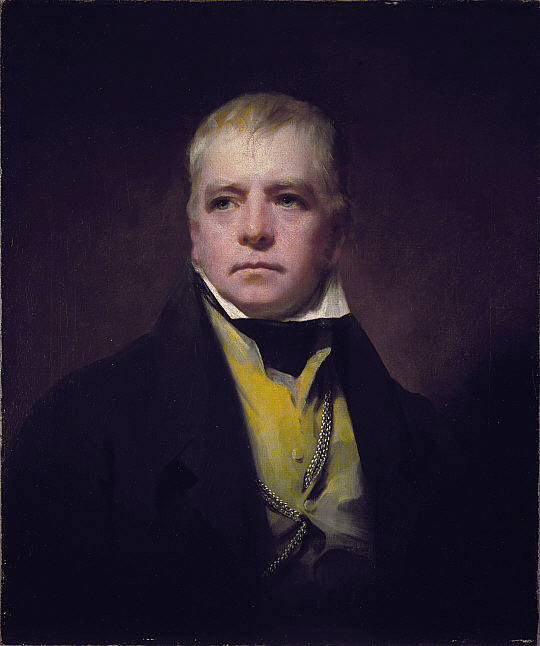 In 1822, he was asked to oversee the state visit of King George IV to Scotland. This was a momentous occasion, with it being the first visit of a reigning monarch to Scotland in nearly 200 years, and Scott was keen to create a spectacular event. His insistent inclusion of tartan pageantry throughout the visit went on to spark a revival of the fabric. This event also helped establish the tartan kilt as being so synonymous with Scottish identity. The Highland fabric also went on to become all the rage outside of Scotland, with people clamouring for it across the UK and Europe. From such humble beginnings, the Scottish Borders has built a global reputation for quality fabric and design. In 1934, when textile company, Pringle of Scotland, appointed Austrian-born Otto Weisz as the first full-time designer in the knitwear industry, he set new global trends. Not only did he invent the knitted twinset, a favourite look with female film stars of the day, he also reimagined the ancient Argyle pattern to create Pringle’s trademark diamond design, which became globally popular after being adopted by the Duke of Windsor. Borders tweed and woollens are still at the heart of today’s weaving industry and are still favourites with top designers and fashion houses from London’s Saville Row, to Paris and Milan. Add in the area’s long-standing expertise in weaving fine cashmere, and you soon understand why the industry is still a major employer in the Borders, providing jobs for around 3,000 people, as well as contributing hugely to the local economy. Building on over 200 years of tradition, Borders textile manufacturers are still at the centre of an international network, importing the finest raw materials from across the globe, and exporting finished fabrics and clothes to the fashion capitals of the world. From fashion catwalks to golf fairways, Rodeo Drive to football terraces, Borders-designed and manufactured fabrics and knitwear grace some of the most fashionable shoulders. Long recognised as Scotland’s premier textile manufacturing region, the Borders is also home to Heriot Watt University’s world class School of Textile and Design, in Galashiels. The school attracts students from around the world, as well as visiting lecturers from some of the top fashion houses. “The best facilities in the UK”. And it’s not only in traditional materials where its expertise lies, the college is also a leader in the emerging fields of smart, protective and waterproof fabrics. The industry has also seen major changes over the past few years. When Borders cashmere specialist Barrie Knitwear’s parent company collapsed, French fashion house Chanel, swooped in to buy the brand. Today, ‘Boutique Barrie’ has outlets in London and Paris, while the mill’s cashmeres are sold in Chanel shops around the world. 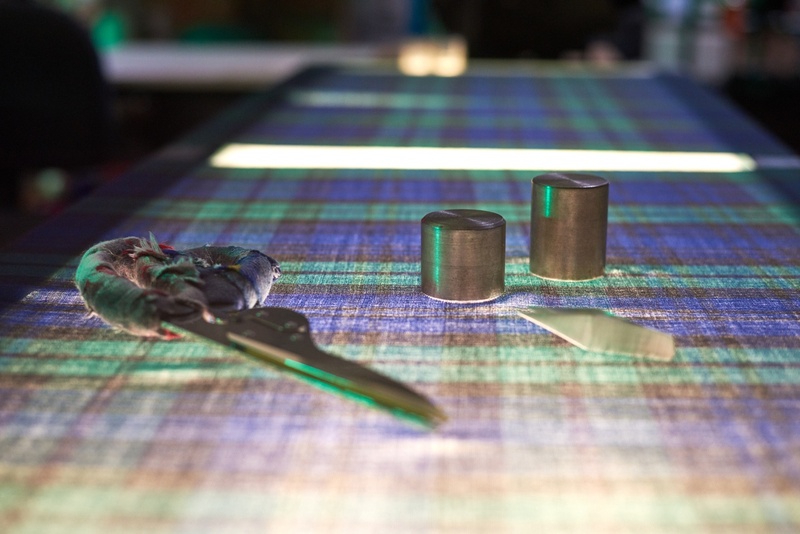 The region even boasts its own dedicated textile museum, at the Borders Textile Towerhouse, Hawick, and a Textile Trail – which links 10 different textile companies, celebrating the local tweed and knitwear industry. Leading producers today include Barrie (Chanel), Pringle of Scotland, Lyle & Scott, Hawick Cashmere, Hawick Knitwear, Holland & Sherry, House of Cheviot, Johnstons, Caerlee Mill, Lochcarron, Lovat Mills, Scott & Charters, Shorts of Hawick, Hawico, and William Lockie. Although many of these former family-run firms are now owned by multi-national brands, or have exclusive supply deals with top fashion houses, they still adhere to the same high standards of design, manufacturing and production that made their names a byword for quality. The great news is that these centuries-old traditions will continue long into the future with the recent announcement of a new centre of excellence, which will open in Hawick in 2019. true to the industry's roots, the centre will open in a transformed mill building in the town and will look to address "critical skills issues" in the sector and provide a range of training programmes.